Riding on immense volumes of industrial expertise, we have come up with File Board. Provided product is imparted by our experienced executives, who hold vast knowledge in their particular realm. Manufacturer & Exporter of a wide range of products which include Paper Boards such as Cone Board, File Board, High Quality Kraft Board, Core Board, White Liner Board, Grey Board and many more items. 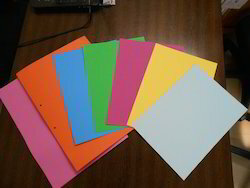 File Board (Popularly known as Manila Board)–Mainly used in the manufacture of Files and Folders. STANDARD SIZE = 22" X 28"
The FILE BOARD is made of various thicknesses like 24, 28, 32, 36, 40, 48 Oz. 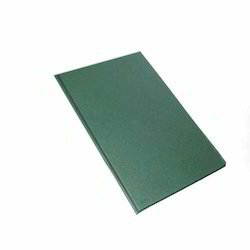 board with good quality binding cloth used on flaps and all the four sides (optional). White lace to bind is of 36" length. Our company has gained immense experience in the field of presenting Paper File Board. We have gained a remarkable position in the market that is involved in offering File Board. Our company has achieved widespread recognition in providing File Board. Keeping in sync with the latest market norms and policies, we are indulged in providing a high quality range of Duplex File Board.